This page contains news about the Evergreen Aero Modelers Club, based in McMinnville, Ore. The TEAM Field near the Evergreen Aviation Museum in McMinnville, Ore., has two grass circles. 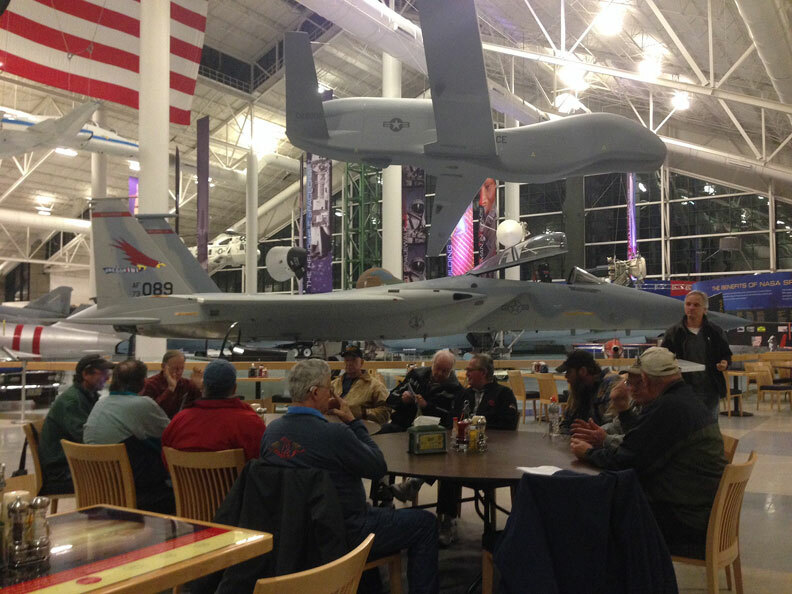 The Evergreen Aero Modelers have an inspiring location for their monthly meetings. Their February 2015 meeting is shown above taking place in the Evergreen Space Museum. Jerry Eichten photo. Club news, historical article, fun fly report. Flyers for Flying Model Static Exhibition and two-day collection swap meet, and other news.